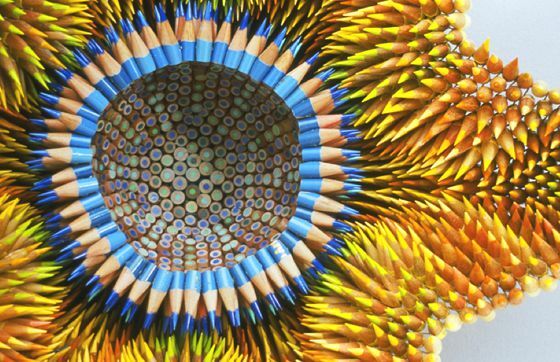 Jennifer Maestre (born in 1959 in Johannesburg, South Africa) is an artist who lives and works in U.S.A., Massachusetts. 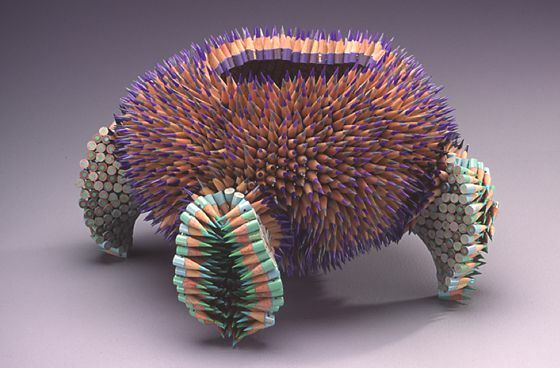 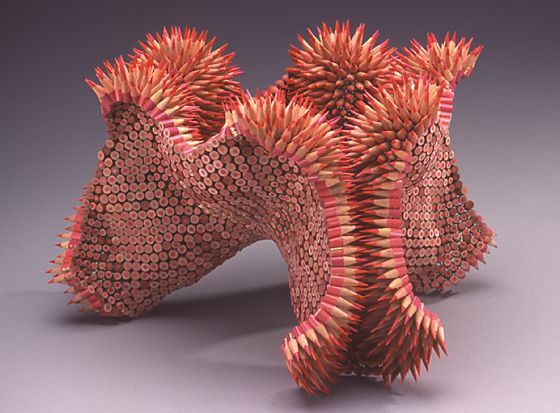 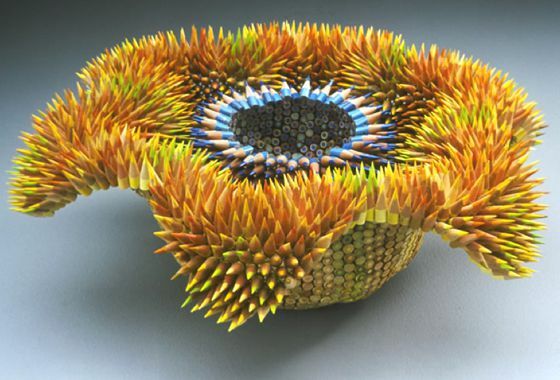 Jennifer is well known internationally for her matchless sculptures made with pencils. 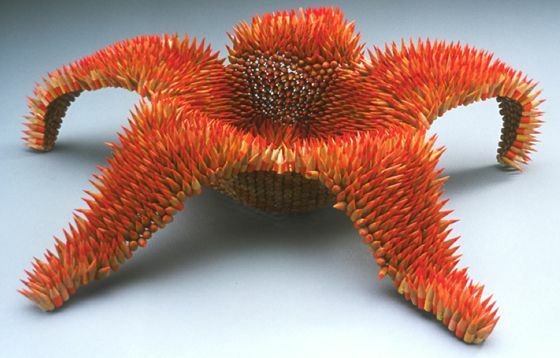 Much of her inspiration comes from the shape of the sea urchin. 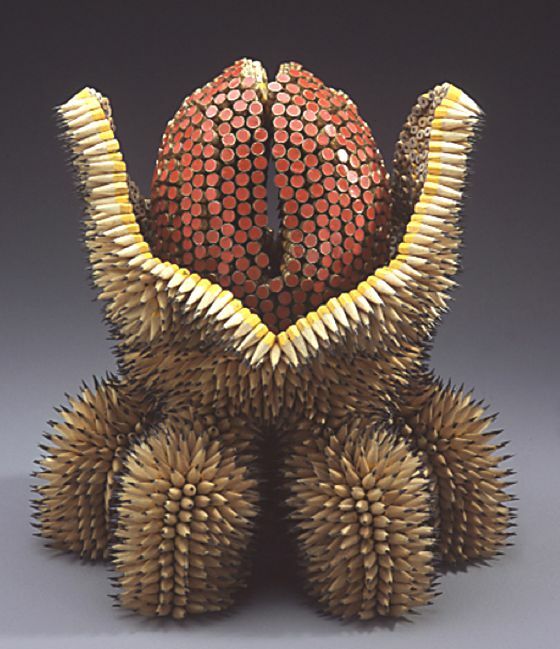 The seductive texture and the surface effect created by the thorns create curiosity and fascination. 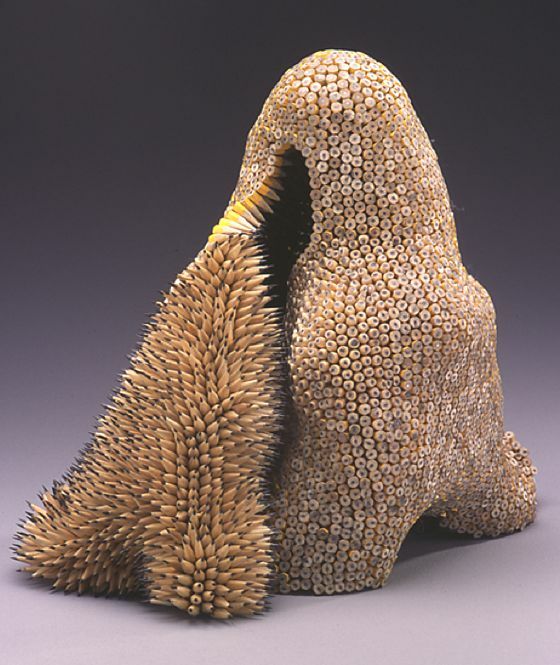 To realize her sculptures, Jennifer uses pencils, whole or cut into small pieces that assembles with small holes, sewing them and looping them like pearls.